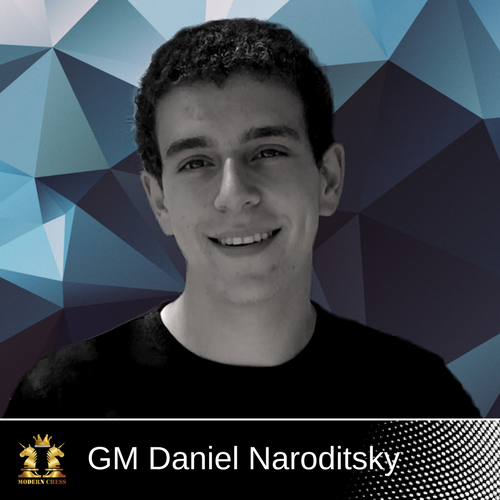 We are proud to welcome our new author - GM Daniel Naroditsky. His books Mastering Complex Endgames: Practical Lessons on Critical Ideas & Plans and Mastering Positional Chess: Practical Lessons of a Junior World Champion are a must-read for everyone who wants to progress in chess. In his first article for Modern Chess Magazine, GM Naroitsky provides us with a new understanding of the Prophylactic Thinking. Here is what the author has to say about his work: The concept of prophylaxis was first introduced by Aron Nimzowitsch in his renowned work My System. On the surface, prophylaxis appears to be a fairly straightforward notion: it refers to the art of stopping your opponent's threats, with an emphasis on positional threats and ideas. In this article, I will take your current understanding of prophylaxis and turn it on its head! I will argue that it is fundamentally wrong to think of prophylaxis as a concept, as something that you simply apply and then forget about. Quite the contrary. Prophylaxis, I believe, is a way of thinking, a potent lens through which you can solve positional and tactical problems of the most complex degree. Even if you know your Nimzowitsch and Dvoretsky backwards and forwards, I invite you to join me on a quest to expand your positional boundaries. Each illustrative game will be dedicated to a separate facet of prophylactic thinking, and, by the end, I hope that we are going to succeed in developing a potent thinking mechanism that will bring us one step closer to chess mastery. After releasing his opening database The Sicilian Kan - Repertoire for Black , IM Renier Castellanos starts writing for Modern Chess Magazine. His first article deals with one of the most important and complex pawn structures in chess - Hedgehog. In the introduction to his article, Castellanos explains the importance of the Hedgehog structure in the following way: Knowing how to play the Hedgehog System is a useful tool for every player. English Opening, Nimzo-Indian, Anti Benoni, Queen's Indian Defense and Rossolimo Sicilian are among the popular openings which might lead to a Hedgehog pawn structure. That is why it is likely that you might be able to play this system more than once. Also, the author affirms that this structure is particularly important for the Kan player: However, for the Kan player, this system is the core of his repertoire against e4. Therefore is necessary to learn the deep secrets of this legendary setup. In Issue 14 of Modern Chess Magazine, GM Nikolai Ninov started dealing with the knight sacrifice on "d5" in positions in which White's dark-squared bishop is placed on the a1-h8 diagonal. In this issue, the author continues his investigations of the knight sacrifice on the d5-square. This time, he demonstrates how the powerful knight sacrifice can be used in Hedgehog positions. As it becomes clear from the article, the author pays a lot of attention to the position of White's light-squared bishop. Let's take a look at an example with a bishop on the h1-a8 diagonal. Here is what GM Ninov has to say about the fianchettoed light-squared bishop. It is less common to find our thematic sacrifice executed with a fianchettoed light-squared bishop. In such a case it is usually connected with a long-term compensation, but an immediate crisis is not an exception. Just have a look at the next breathtaking competition of chess resourcefulness! White has concentrated nearly all his army on the kingside. A strike is in the air. This article can be perfectly combined with the work of IM Castellanos on the Hedgehog structure. In Issue 14, GM Kuljasevic explained the importance of limiting the mobility of your opponent's pieces in endgames. In this issue, he looks at the flip-side of this topic; namely, the instances when conceding mobility to your opponent plays a decisive role in the game. The examples you will see often contain a "human" element; in other words, one or both of the players will make a mistake in the assessment of the activity of opponent's piece(s). You will realize that this is a moot point even for strong players as virtually all games he shows are from grandmaster practice. Here is an example in which top GM Caruana made a serious mistake by taking a "poisoned" pawn in the endgame, allowing his opponent Aronian to activate his king with a decisive effect. While strengthening White's center, the typical knight exchange on c3 also solves most of Black's problems of coordination caused by his relative lack of space. 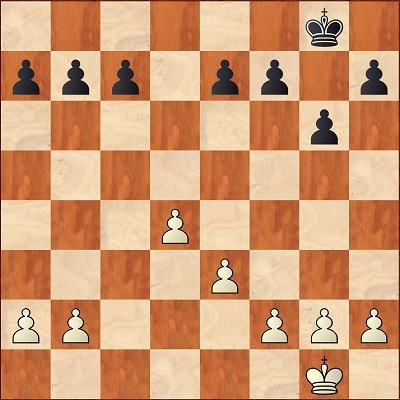 This explains why there are many systems in which White aims building up a comparatively modest center (with pawns on d4 and e3 or e2, but without a pawn on c3) avoiding any early minor piece exchange.Not being under immediate pressure, Black has a wide range of plans at his disposal, but this freedom must be handled carefully for if he delays concrete action, he may well be left in a passive position without counterplay. Mainly, Black can choose between setting up piece pressure without early pawn breaks, or else prepare the typical ...e7-e5 break and, slightly less usual, ...c7-c5.